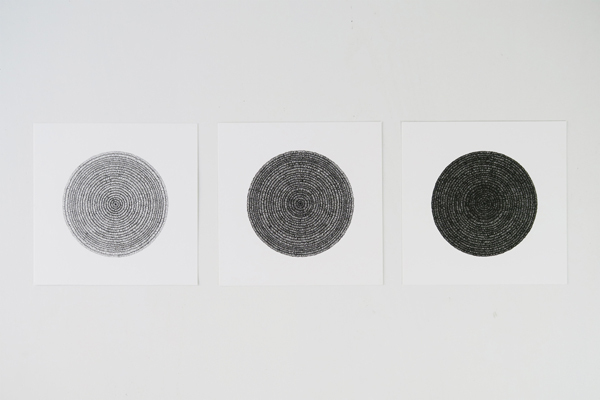 The drawings are visual representations of a suffering mind. 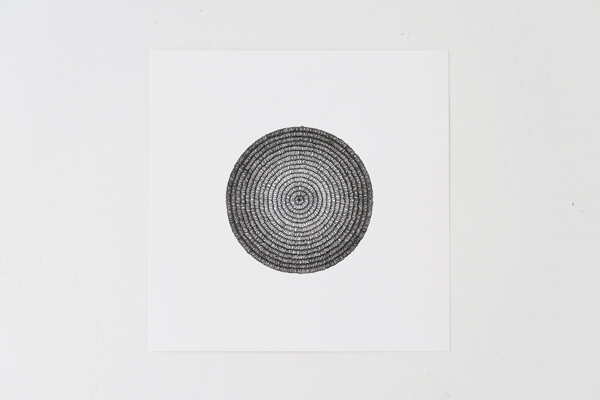 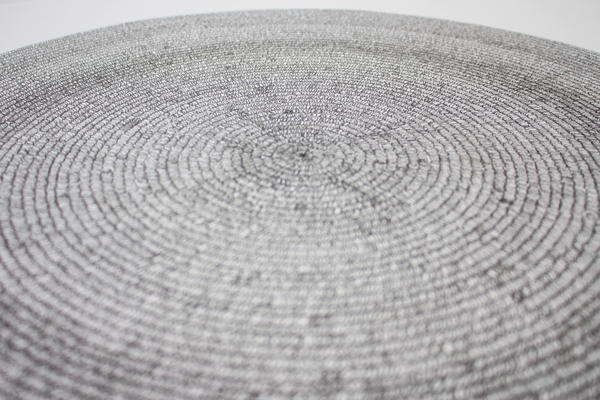 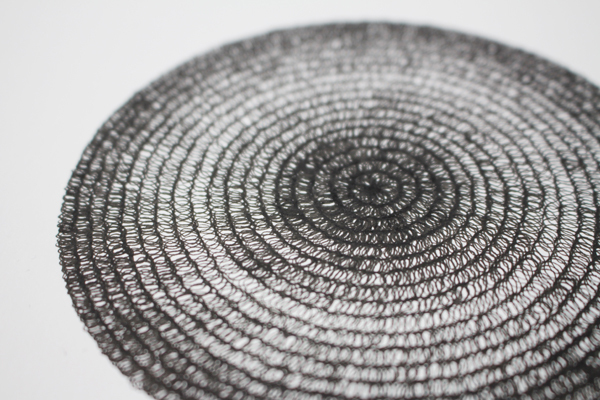 Each circle is a new thought that begins with a simple line, but evolves into an infinite spiralling movement. 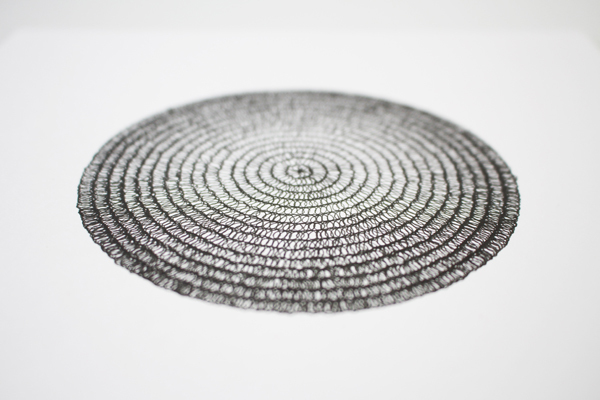 Overthinking builds up in your mind and grows into a piece without a beginning or end. 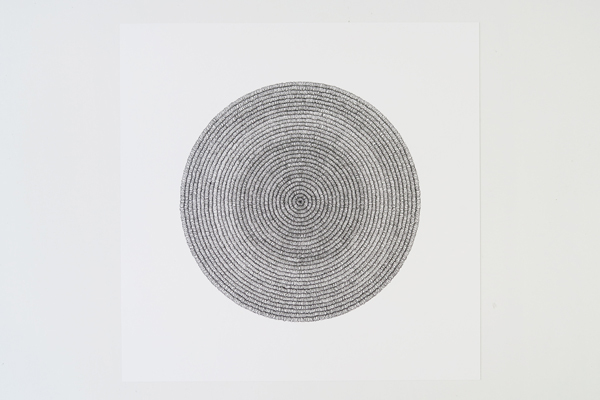 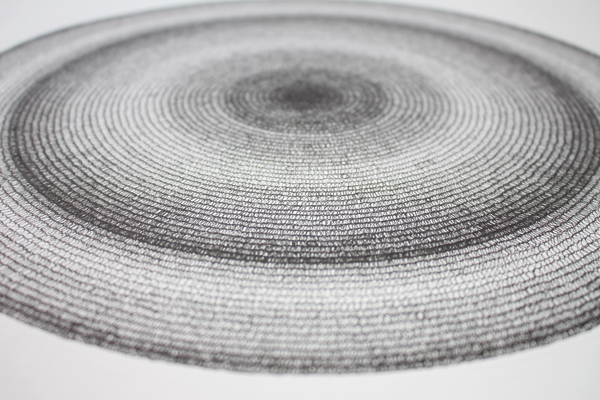 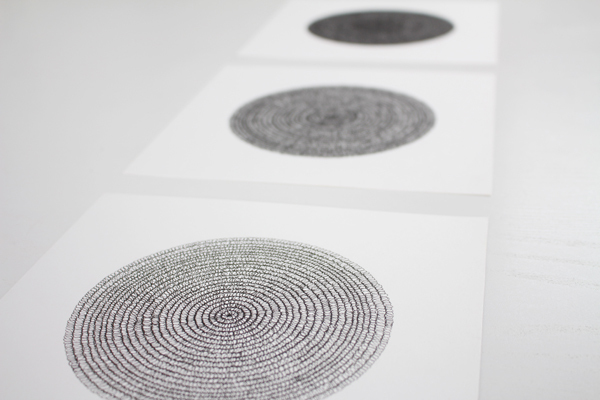 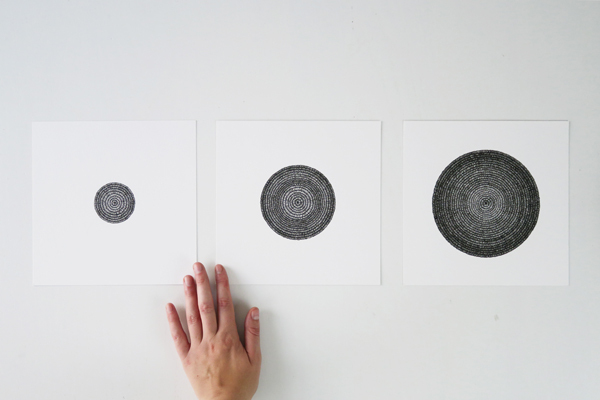 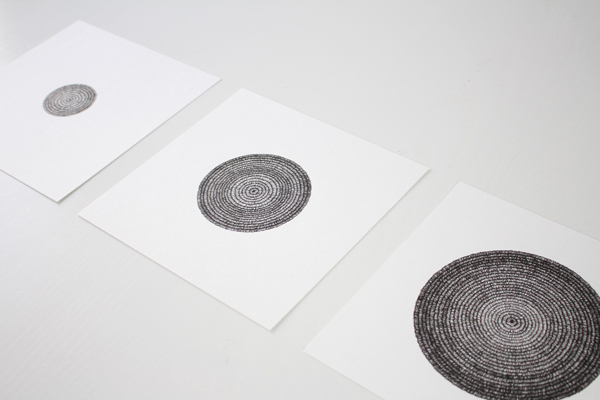 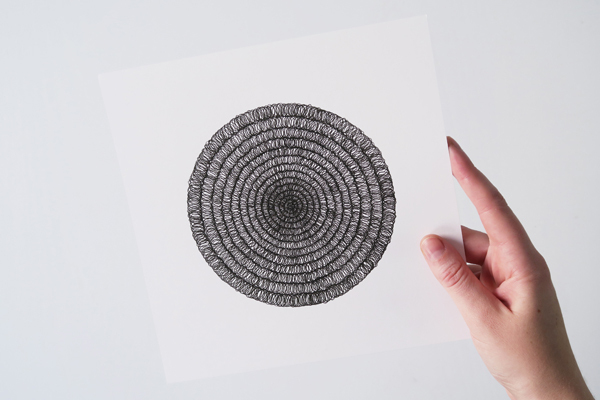 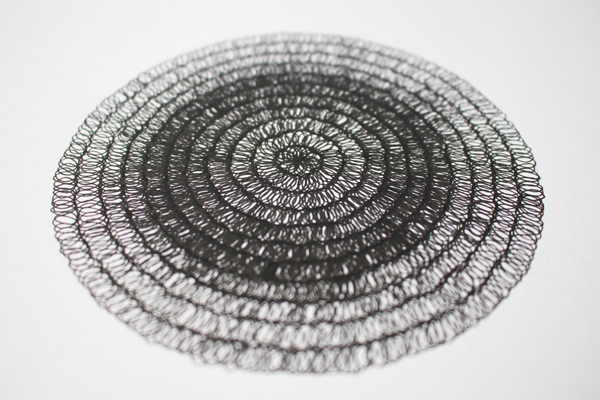 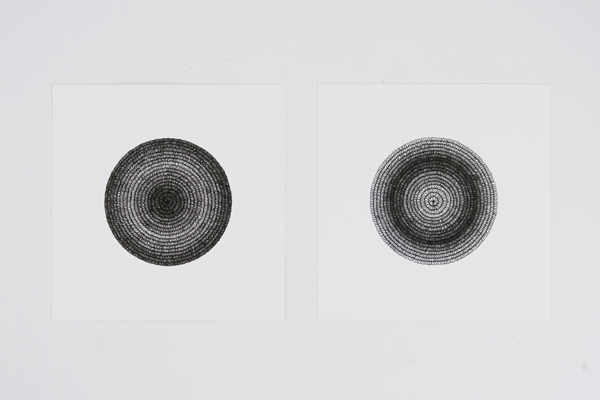 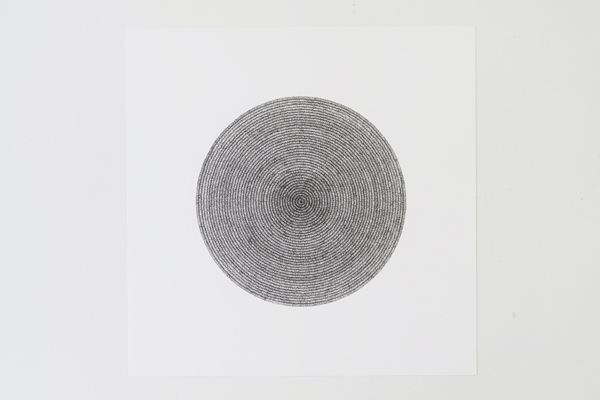 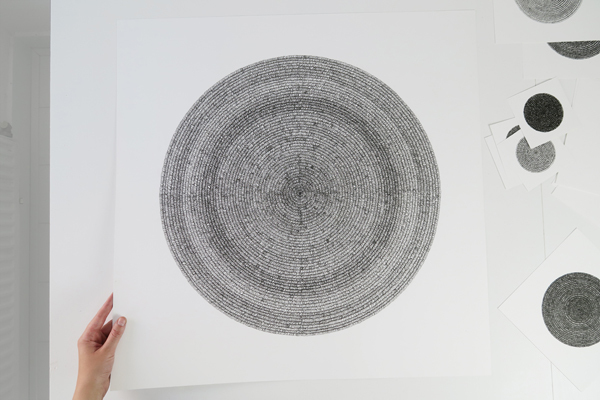 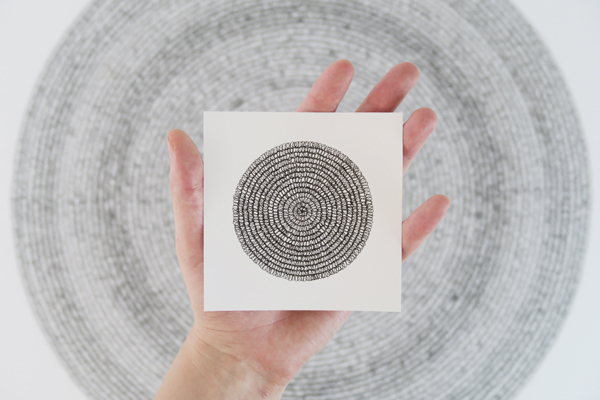 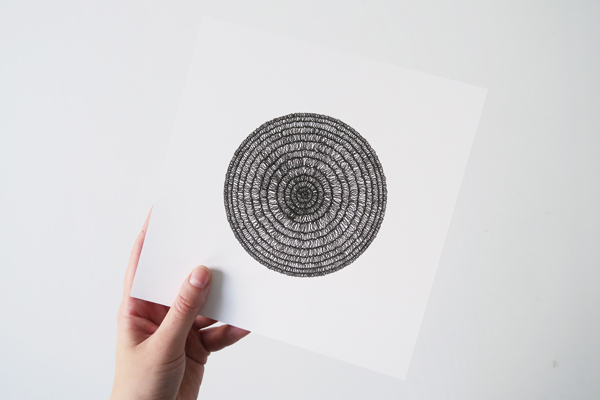 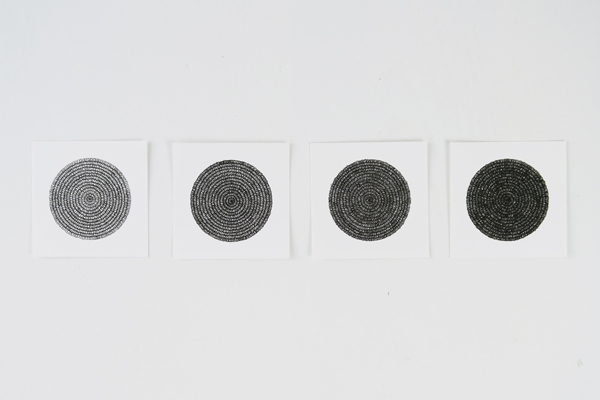 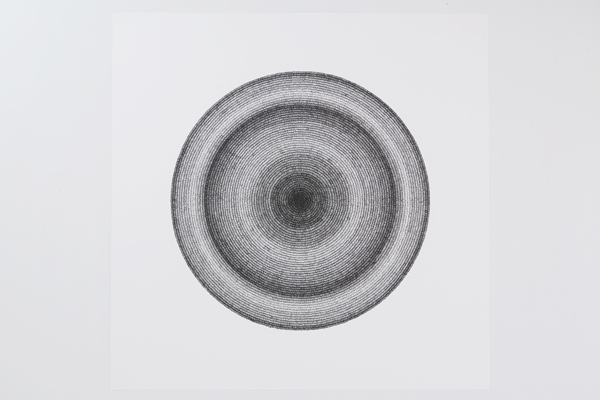 However, the process of making these drawings is a repeating and meditative method that actually calms the mind. 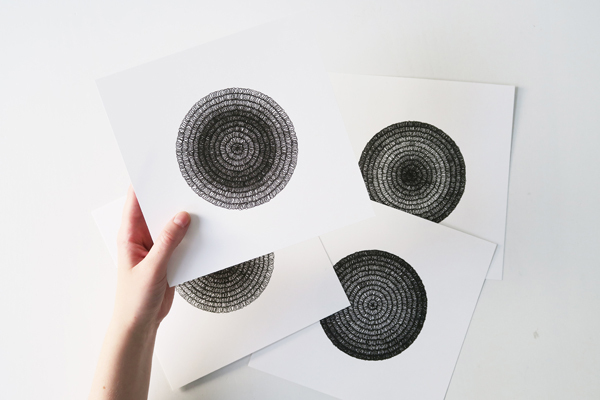 They are modern geometric versions of mandalas.